The W. Darr Wise Piano Competition is named in honor of Newberry College Professor Emeritus Dr. W. Darr Wise.  Wise was a member of the Newberry College Music faculty for 42 years, serving as both a piano professor and the College organist until his retirement in 1998. His skill as a musician and an educator inspired his students to continue studying and teaching at major music conservatories and to achieve successful careers as performers, church musicians, retailers and leaders in the music industry, teachers and administrators in all levels of education. Prizes will be awarded for first, second and third in both the junior and senior divisions. First prize winners in each division each receive a cash award. All prize winners will perform one music selection in the winner's recital. Honorable Mention may be awarded at the discretion of the judges. A total of 10 minutes is allocated for each audition; no minimum performance time limit. The repertoire must be performed from memory in order to be eligible for prizes. Submit your registration and $25 non-refundable entry fee online. Registration and entry fee must be submitted no later than January 14, 2019. Dr. Sarah Masterson, piano, is currenty Assistant Professor of Piano and Music Theory at Newberry College in Newberry, S.C. Dr. Masterson also serves as the Coordinator of Music Theory, Director of the Department of Music Social Media, Freshman Faculty Mentor, and the founding Artistic Director of the W. Darr Wise Piano Competition. As an SCMTA board member, Dr. Masterson serves as Coordinator of Junior Competitions. She is also an active member of the Coljlege Music Society and American Guild of Organists. Prior to joining the Newberry College faculty, she was on faculty at Eastern Connecticut State University and Fitchburg State University. Dr. Masterson's recent research focuses on the work of 20th-century American women composers, and she presented related lecture-recitals at the 2015 Women Composers Festival of Hartford and the 2016 College Music Society Mid-Atlantic Conference. In 2016, she also published a book review in the American Music Teacher magazine. As a performer, Dr. Masterson has performed as a soloist with the Evansville Philharmonic Orchestra, the DePauw Orchestra, and the University of Connecticut Symphony Orchestra. She currently maintains an active performance schedule throughout New England, the Midwest, and the Southeast. In 2018, she premiered a collaborative piece at the North American Saxophone Alliance Conference and presented at the Women Composers Festival of Hartford and the CMS Mid-Atlantic Conference. In 2011, Dr. Masterston completed her Doctorate of Musical Arts at the University of Connecticut, with a major concentration of piano performance and a minor area of emphasis in music theory. Past instructors include Dr. Neal Larrabee, Prof. Claude Cymerman, and Phyllis Niednagel.